We are one of the leading valve industries of India, manufacturing an extensive range of industrial valves such as Diaphragm Control Valve, Dust Collector Solenoid Valve, High Pressure Needle Valve, Actuator Butterfly Valve and C.I.Cylinder Operated Control Valve and many more efficient models made from high grade material with precise techniques.A Solenoid is basically a type of electromagnet consisting of a coil fill copper wire. Solenoid valves, then again, are exceptionally built and electronically work devices that can utilize as a part of numerous different and one of a kind framework applications. Various industries from India and abroad have bring into play our flexible and suitable series of solenoid valves for its progressive features along with tight shut off. Our precisely engineered compact and versatile models of solenoid valve manufacturer in india offer great property like larger life span with wide range of weather conditions. Implementation and employment of novel tools and techniques reflect in the performance of every series. Space saving models of different valve series is widely admired by our global customer base.We have developed vigorous range of Pneumatic Actuator Ball Valve, High Pressure Ball Valve, Manual Butterfly Valve, I.C. Ball Valve, 3/2 &5/2 Way Solenoid Valve, 3/2 & 5/2 Roller Lever Valve and many more valve series. 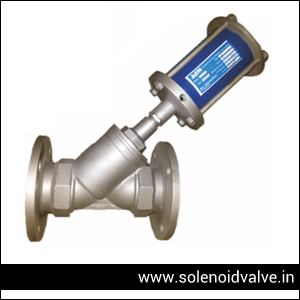 A Solenoid Valve is an electromagnetically operated valve which is used for Controlling liquid and gas flow. It is operated by an electric current through a solenoid. The plunger will either open or close the valve depending on the design of the valve. 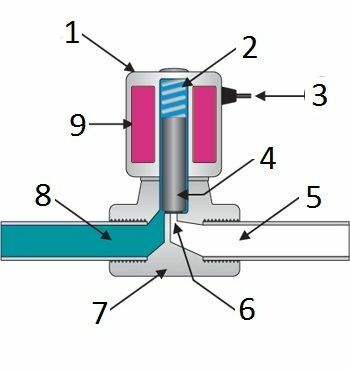 When the current is removed from solenoid the value will return to its de-energized state.Solenoid Valves are the most commonly used manage essentials in fluidics. Solenoids present quick and secure switching, high consistency, long service time, high-quality average compatibility of the materials utilize, low control power and compacted design.Some examples of the utilize of Solenoid Valves consist of heating systems, compacted air innovation, industrial automation, and irrigation systems. 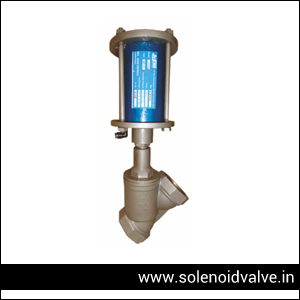 In Direct Acting Solenoid Valves, the plunger directly opens and closes an orifice inside the valve. 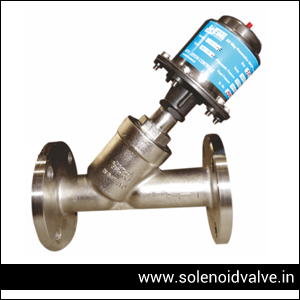 The direct acting valve shown in the picture this type of solenoid valve has the most simple and easy to understand principle of operation. Our solenoid valves offer fast operation, high reliability, long service life, and compact design. We are regarded as the best company for procuring quality laden Single Acting Solenoid Valve products. We offer them in diverse specifications and M.O.C. that are ideal for application in pneumatic as well as hydraulic arrangements. We are considered as the finest company, to obtain qualitative and supreme performance Double Acting Solenoid Valves from. We supply these in varied specifications as well as material of composition.